The comfort recline sling is designed for the amputee client but it is also suitable for clients who have to remain in the sling for extended periods. The spacer material is fully breathable and stretches to mold to the shape of a chair. 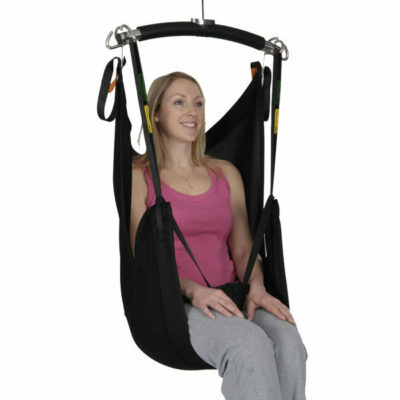 The sling features elasticated sections which allow the straps to be folded safely out of the way when the client is seated. Call 604-821-0075 or request details about the Handicare Waverly Glen Comfort Recline Sling using the form below. Question about the Handicare Waverly Glen Comfort Recline Sling ?